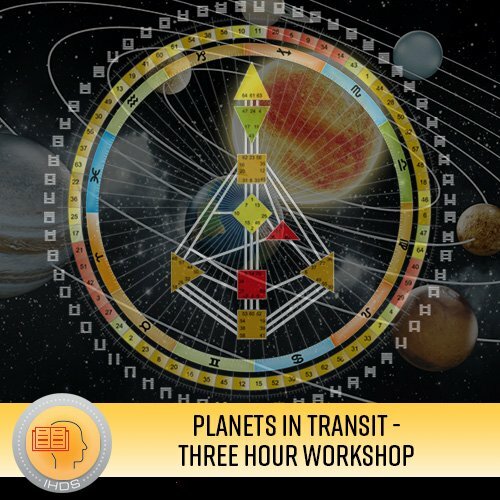 An introduction to methods to see and transform the action of planets in your life. This course reveals important ways to work with the most significant events that have formed your biography. It consists of a workshop, with two presentations and a question and answer session. Genoa will outline specific methods to focus self-inquiry and promote personal liberation. We will examine how to penetrate crucial life events and mutate the very forces contained in them. Delving deeper into Strategy, you can use your Personal Authority to reinvigorate decisions that serve us and let go of ones that don’t. Genoa will show how to use the planets to decode what was happening and when, and how certain people play important roles. It is awe-inspiring to see how strong the forces of planetary transits are during very crucial events. It is even more inspiring to see our path to liberation through those very same energies. Ironically, our most painful conditioning has occurred through our inability to fulfill our very best decisions. We can transform that failure in the future because we can map challenges and meet them as ourselves.With examples from history and famous biographies.